Born in the birthplace of basketball, Springfield, Mass., Bilqis Abdul-Qaadir excelled from an early age. She shattered the Massachusetts state scoring record (for boys and girls) that was previously held by female hoops legend Rebecca Lobo, finishing with 3,070 career points. As a senior, Abdul-Qaadir averaged 42 points per game and was named the Massachusetts Gatorade Player of the Year. She appeared in Sports Illustrated, Slam Magazine, and on ESPN. Abdul-Qaadir graduated No. 1 in her class in 2009 and was invited to the White House for a Ramadan iftar dinner with President Barack Obama. While at the University of Memphis, Bilqis became the school’s third leading scorer, made the Dean’s List, and was named to the Conference-USA Women’s All-Academic Basketball Team. 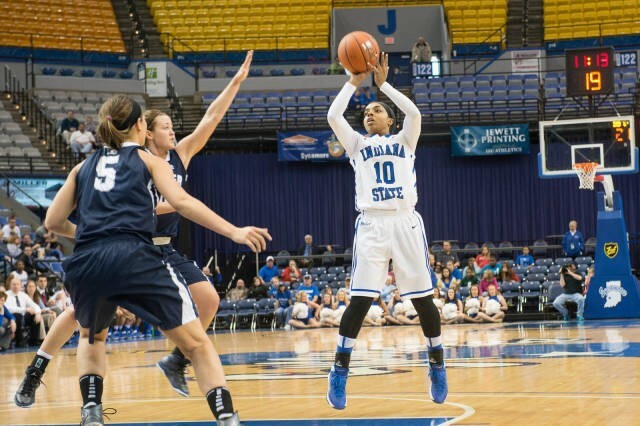 She graduated and transferred to Indiana State University for her 2013-14 redshirt senior season where she led the Sycamores in scoring with 14.2 points per game — winning Missouri Valley Conference Newcomer of the Year and being named MVC First Team All-Conference and Second Team Scholar-Athlete.